Bat Mitzvah family group stands on the steps of the Hebrew Congregation of St. Thomas, established in 1796. Bat Mitzvah girl Hannah is in the center of the front row, beside her mother, Donna. 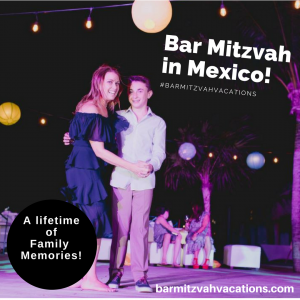 A Destination Bat Mitzvah Story! At this Bat Mitzvah, the guests got sand between their toes. But it didn’t take place in a tent in the desert. Rather, the traditional service when a Jewish girl turns 12 (for a boy, a Bar Mitzvah is at 13) — was held at the only synagogue on the Caribbean island of St. Thomas, the Hebrew Congregation of St. Thomas, founded in 1796. The sand floors aren’t just for effect; they’re part of a Sephardic (Spanish/ Portuguese) tradition dating back 500 years to the Spanish Inquisition, when Jews were forced to pray secretly in basements, and used sand to muffle the sounds. While planning her daughter’s Bat Mitzvah, Donna, a single mom from Massachusetts, opted for a unique kind of celebration that would take it “to a different level of special.” Donna contacted Ellen Paderson of Smiles & Miles Travel, a 15-year veteran of the travel business, who has been arranging Destination Bar/Bat Mitzvahs for several years. Using her deep expertise in planning destination weddings and honeymoons, Ellen has developed the unique Bar/Bat Mitzvah Vacations niche, and says referrals have helped the business to grow steadily every year. 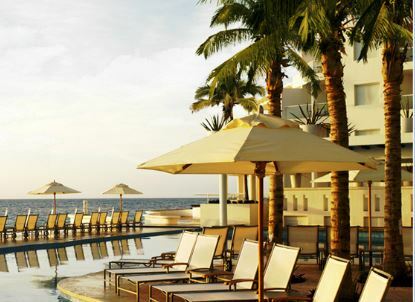 A Destination Bar/Bat Mitzvah celebration can be a family cruise in the Caribbean, the Mediterranean or Europe, or an on-island experience with accommodation ranging from an affordable all-inclusive resort to a luxury 5-star hotel or villa. In addition to St. Thomas, Ellen has contacts for Bar/Bat Mitzvah destination events in Aruba, Curacao, Costa Rica and Puerto Rico, as well as Florida, Alaska, Italy and further afield. She is often on the road, researching new destinations for clients, building extensive networks with land-based venues and with major cruise lines. Contact Ellen today to schedule a free Bar/Bat Mitzvah Vacations phone consultation at no obligation. Or call 508-238-4088. Cruise-ship Bar/Bat Mitzvahs can include a land-based synagogue ceremony or a service onboard ship with Bar/Bat Mitzvah Vacations’ own cantor. Ellen can arrange a family-and-friends adventure for any size group on any type of trip. She also books scores of destination weddings and honeymoons every year. Adult Bat Mitzvah Cruises is Ellen’s exciting new offering for women,their families and friends. Ellen arranged everything for Hannah’s once-in-a-lifetime Bat Mitzvah family adventure: travel, hotels, the synagogue and Rabbi, restaurants, and gift baskets. Working with local St. Thomas Rabbi Stephen ‘Shimon’ Moch, Ellen even helped the family choose a Mitzvah (community service) Project in which the family donated food, money and time to a St. Thomas food kitchen. 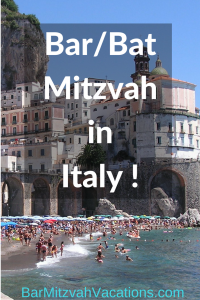 Bar Mitzvah Vacations counselors are expert travel agents and event planners. We have personally inspected most of the outstanding properties that we recommend. Every detail of your family’s experience gets personal attention from our knowledgeable staff. dates are available for 2013, 2014 and 2015! Contact Ellen to reserve your Bar/Bat Mitzvah Vacation now! Read more about Bar/Bat Mitzvah Vacations in the U.S. Virgin Islands – no passport required!